The health check-up camp was inaugurated by Dr. Govind Sharan, SMO, Health Department, Nuh; Shri GS Malik, Chairman, Sardar Gurmukh Singh Memorial School; Smt Seema Singhla, Chairperson, Municipal Committee, Nuh and Dr. Pawan Goel, HOD, Shaheed Hassan Khan, Medical College, Nalhad. During the camp, free health checkup was done forDiabetes, Blood Pressure andlungs ailments. A specialized team of doctors from Maharaja Agarsen Hospital, including pediatrician, gynecologist, lung specialists, general physicians and trained nursing staff of Indian Medical Association (IMA), examined the patients and provide medical consultation and distributed free medicines. 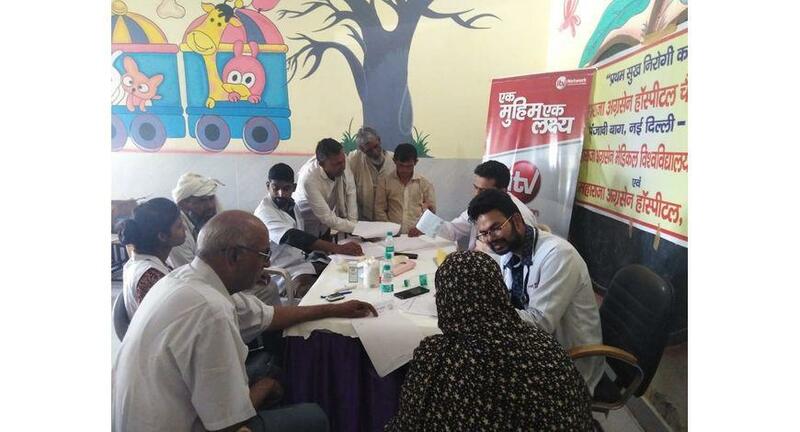 The health check-up camp was supported by Dettol and free kits were distributedto all the attendees who came for the health check-up.The dedicated team of iTV Foundation supported and managed the on-ground activities of the health camp.